Would you like to create videos of your workout sessions – to share how well you’re doing with others, or maybe even to just check your form when performing certain exercises? It doesn’t take professional equipment to create great workout videos, and it is really just a question of technique. The idea in any workout video is to show the actions that are being performed, and the position of your camera is going to be important in that regard. While for some exercises where you’re standing upright you may be able to position your camera at eye-level, for many others you may want to position it on the ground instead. Keep in mind that that aside from the height of the camera you should also determine whether it would be best for it to record you from the front, side, or back – which will again vary depending on the exercise. Initially you may want to experiment with different camera positions for different exercises, until you figure out what works best. Be sure that no matter where you position the camera, it is going to be kept steady and isn’t likely to shake or move, or be jostled accidentally. If the camera isn’t steady it can cause the video footage that you record to appear shaky and blurry, which is definitely something that you want to avoid. In most cases you should be able to find a place to rest the camera, or could even prop it up against something else. However if you would like to go the extra mile you could consider using a tripod or some other form of stand or camera holder in order to ensure that it is kept in place. If your clothing doesn’t contrast against the background, it is likely to be indistinguishable in the video – which defeats the purpose. In the event that you aren’t sure what color the background will be, try to opt for clothing that isn’t too light or too dark, so that it will contrast more broadly instead. Some people like recording audio of their workout sessions, and even provide a running commentary. While this approach translates well in workout videos, it is difficult to execute and you won’t want to rely on the in-built microphone in your camera. In addition to using an external microphone, you’ll also have to be wary of background noise that interrupt the audio and make it unclear. The alternative is to record the audio before or after the video and then insert it later on. Needless to say this is an easier solution, though it doesn’t have quite the same appeal. Aside from these tips, it will help if you are familiar with the basics involved in video editing – so that you can process the footage that you record, fix any issues, and maybe even spruce it up a little once you’re done. 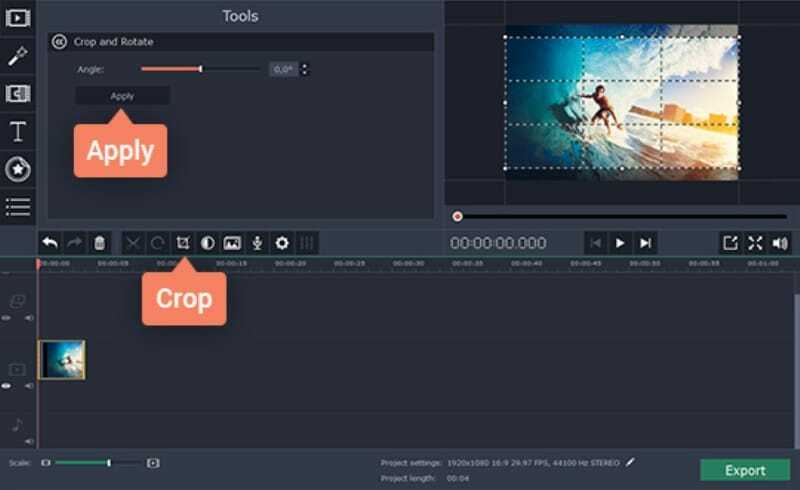 Sometimes all it takes is small alterations, and if you can crop video, trim it, and maybe adjust the color levels you should be off to a good start (Movavi Video Editor can help you with all that). Now that you know what it takes to record great workout videos – why not give it a try. Before you know it you’ll have recorded a great video that you can share on social media, publish online, or even just watch yourself to see if your form is good or could use a few tweaks.